WhatsApp Business app, which had been talked about for some time now, is finally official. Released on Android, the app is aimed at helping small enterprises connect better with their customers. However, WhatsApp for Business is not yet available in India and will launch for the rest of the world later, which would most likely include India given that this is the biggest market for the app. Currently, WhatsApp’s Business app has been rolled out in Indonesia, Italy, Mexico, the UK and the US. So what is WhatsApp for Business and what will it offer? Here’s a quick look. What is WhatsApp Business app? How to download and install it? WhatsApp Business app is meant for small businesses so unless you own one, this might be of no use to you. For instance, if you run a small online clothing company or have a local grocery store or bakery, then WhatsApp Business app can then help you connect more efficiently with your customers. For those of you who prefer WhatsApp for sending pictures and good morning messages, then the current version of the app is good enough. However, as we have pointed out WhatsApp Business is not yet available for download in India, so even if you are an SMB owner, you will have to wait for its launch that should be soon. WhatsApp’s blog says “the app is rolling out around the world in the coming weeks”. What features will WhatsApp Business app offer? 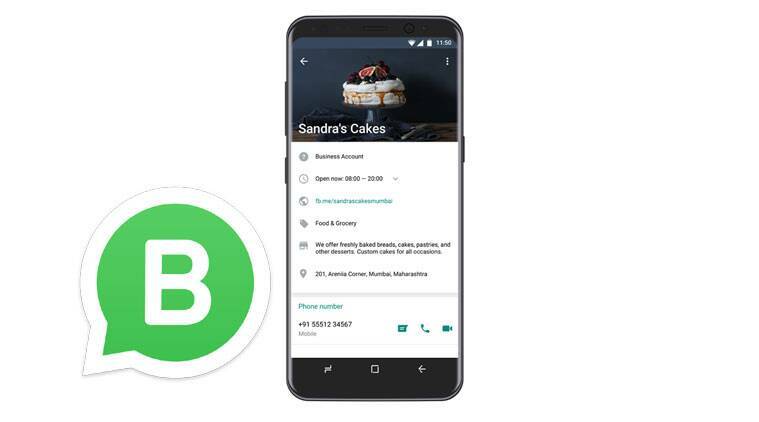 WhatsApp Business app plans to make it simpler for smaller businesses to connect with the customers. Some features of the WhatsApp Business App will be as follows. First is Business Profiles, which can help customers with useful information such as a business description, email or store addresses, and website. So an SMB will be able to create their profile, which will be highlighted to regular users on WhatsApp. WhatsApp Business as the name suggests plans to make simpler for smaller, medium businesses to connect with the customers. Second is messaging tools, where WhatsApp will offer smart messaging tools like quick replies, etc. to help provide fast answers to frequently asked questions (FAQs). There will also be greeting messages for customers and away messages as well. Business owners will also get to see messaging statistics and review what messages have been read and see what is working on the platform. There will also be the option of WhatsApp Web to send and receive messages with WhatsApp Business on the desktop. Finally, the account type will let users know if they are talking to a business as it will listed as a Business Account. WhatsApp will also have some Confirmed Accounts over time for a few businesses. WhatsApp says this will be done once it has been confirmed that the account phone number matches the business phone number. So what will WhatsApp charge for this Business app? Nothing. For now, the WhatsApp Business app is free for all SMEs. However, WhatsApp has indicated in the past that it could look at monetising services by charging larger enterprises. Remember WhatsApp is also partnering with bigger firms and enterprises to bring more services straight to the app. Players like Netflix, BookMyShow, MakeMyTrip, etc are all partnering with WhatsApp. The latter two are already sending messages, alerts, etc to customers on WhatsApp itself, rather than relying on SMS. What about me as a user? I do not want to talk to these businesses. Can I block them? WhatsApp says users will have “full control over the messages they receive”. If you do not wish to receive messages from any number, you can still block it and this applies to businesses as well. If a business starts spamming you on WhatsApp, there will also be the option of reporting spam. So what is the need for a Business app?